Fan stopped working mid print, Always on is burned now. 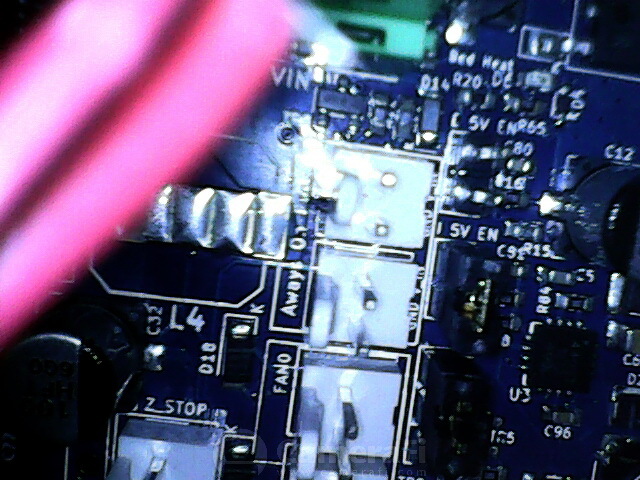 It's a bit hard to tell from your photos, but it looks to me that you have some burn marks emanating from the ground pin of the first always-on fan connector. I think this can only mean that you had a short in the fan wiring between the two wires, because it would take a severe current overload to cause that amount of burning. That would also explain why none of the fans is now working. 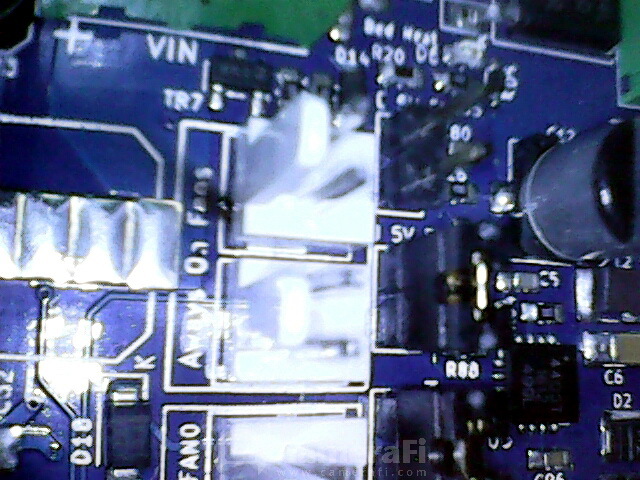 When there is a short in the fan wiring, usually one of the vias on the PCB fails before anything else, which disconnects the VIN side of the fan voltage selection jumper block from VIN. To check this out, use a multimeter to measure the resistance between the VIN pin of the fan voltage selection jumper block and the positive terminal of the VIN terminal block. It should be as low as your multimeter can measure. The good news is that you can easily add a bypass wire on the back of the board between those two points, which should get all the fans working again. But I advise you to identify what caused the short in the first place, and make sure that it can't happen again. Yes those are the correct pins. 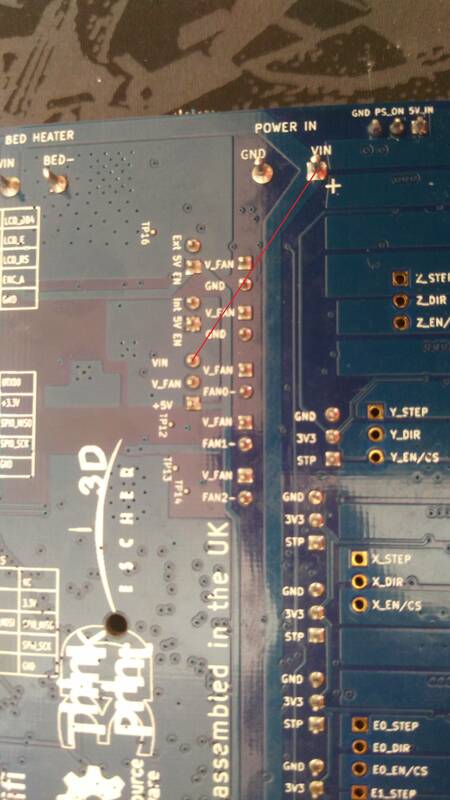 I checked the PCB layout files to see if there is anything else that could cause a burn in that area, but there isn't. Apart from an external short, the only other possibility I can think of is a short underneath the fan connector itself. 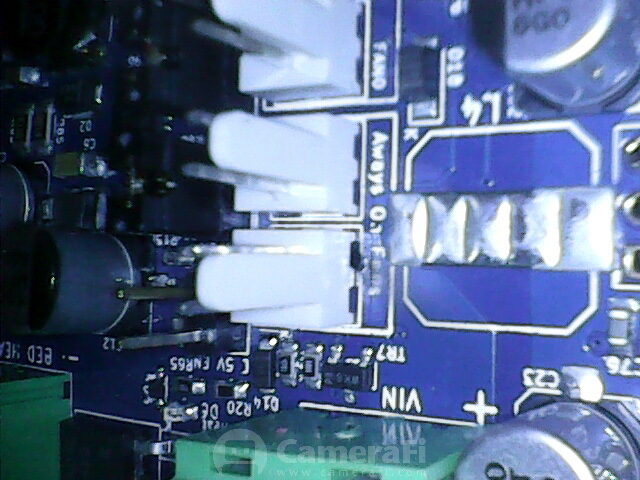 With care it is usually possible to pull the plastic part of the connector off, leaving just the pins behind. That would allow you to inspect the area between the pins.